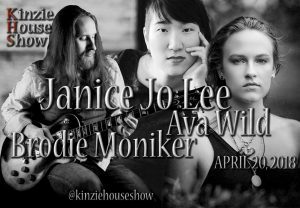 Friday April 20th Kinzie House Show will be hosting a night of music and spoken word! This night is sure to fill your appetite for good music and great community. 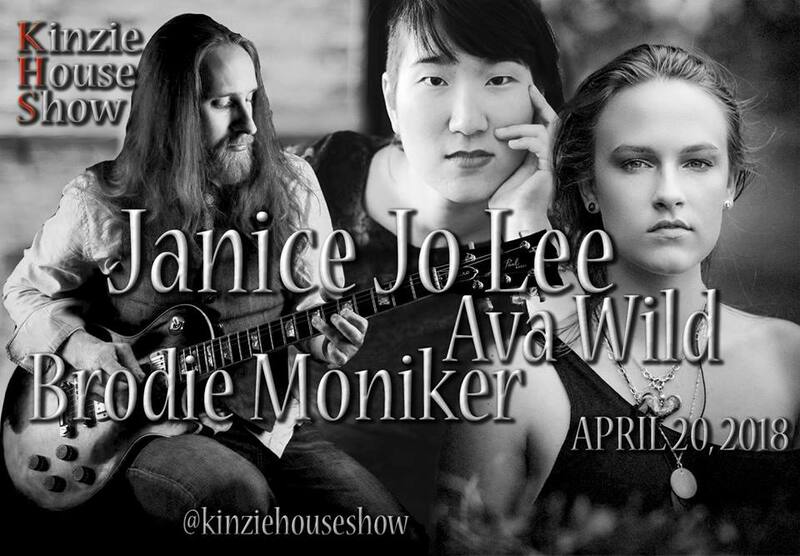 Janice Jo Lee is a Korean-Canadian, folk-soul musician, spoken word poet and theatre artist rooted in Kitchener, on Haldimand Treaty territory. She is passionate about building flourishing communities based in justice and joy through art. From the skies of Saskatchewan Ava Wild began to collect inspiration and translate her world through music. Dwelling primarily in the genres of folk roots and acoustic pop, her writing style is spiced up with embellishments of jazz and old-country. Regina based, fifteen year music veteran Brodie Moniker (PandaCorn, Brain Sauce, Fancy Diamonds), is a truly musical diverse talent with sophisticated songwriting, artistic arrangements, and progressive-pop presentations.